I wasn't going to write a Friday Finds post this week as I have been slow to recover from what now may have possibly been swine flu. I hadn't seen a lot of books that had interested me, however that may just have been my state of mind, rather than the quality of books. Then lo and behold, my lovely book blogging friends throw an abundance of books at me that I just can't resist. 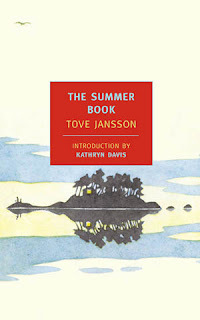 1) The Summer Book by Tove Jansson. I found this one over at Nymeth's blog Things That Mean A Lot last week and fell in love with it instantly. I am a huge fan of Tove Jansson's Moomin books, so I am pretty sure that I would love this one. The Summer Book is a fresh, vivid and magical novel about seemingly endless summers of discovery. An elderly artist and her six year old granddaughter while away the summer together, on a tiny island in the Gulf of Finland, their solitude disturbed only by migrating birds, sudden storms and an occasional passing boat. Gradually, the two learn to adjust to each other's fears, foibles and yearnings for independence, and a fierce yet understated love emerges - one that engulfs not only the summer inhabitants, but the very island itself. Tove Jansson writes with a special toughness, and with a quiet, dry sense of humour, about a small girl and her grandmother, who as kindred spirits share the long days together. 2) In The Sanctuary of Outcasts - A Memoir by Neil White. I found this one over at Maggie Reads. Maggie ran the Southern Reading Challenge earlier in the year and keeps me supplied with Southern book ideas. This book appealed to me because it is about a colony set up in Louisana for lepers, which was also a prison. Last year I read The Island by Victoria Hislop, which was a fictional acount of a leper colony on an island called Spinalonga and nearly a year after reading that book, it still plays in my mind. I thought this would be an excellent followup. White was a successful magazine publisher in 1993 when he was convicted of fraud and check kiting and sentenced to prison in Carville, Louisiana. He knew he was facing 18 months without his wife and two young children; he knew his enormous ego and ambition had landed him in prison; he knew he had to figure out a way to save his marriage and somehow rebound financially. What he didn’t know was that the isolated 100-year-old facility at Carville was home to a leper colony of 130 patients. He learned that the patients (some severely disfigured and disabled) and the 250 inmates eyed each other suspiciously across the corridors and breezeway, each thinking the other was the scourge of the earth. Because his work detail brought him into frequent contact with the patients, White developed strong relationships with them. His favorite was Ella, a dignified and beatific elderly black woman, who had lived at Carville for more than 50 years. I found this one over at Christina's site Reading Through The Night. This is a book in a genre that I haven't really read any books from. Christina read it as part of the GBLT challenge which is run by Amanda over at The Zen Leaf. I hope to be able to take part in this challenge next year. 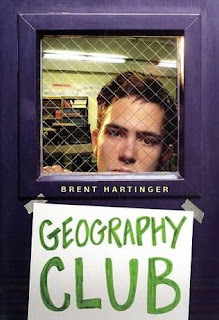 Brent Hartinger's debut novel is a fastpaced, funny, and trenchant portrait of contemporary teenagers who may not learn any actual geography in their latest school club, but who learn plenty about the treacherous social terrain of a typical American high school and the even more dangerous landscape of the human heart. So they are my finds for this week. They are a little different from my usual choices, but I do like to dabble in different genres. What did you find this week? That Neil White book invites me to pick it up! Great finds! These are all new-to-authors! Geography Club sounds really good! They all do but that one in particular, you could imagine the idea being picked up for a film couldn't you? I like the sound of Geography Club. Carmen is right, it's certainly sounds like it could be destined to be made into a film. Geography Club sounds fabulous, doesn't it? I added this to my list this week, too. I think all three look great! The Geography Club sounds good. Hope you get well soon. These look like great finds. My find is here. Great finds! The first book sounds interesting! Good finds!! In The Sanctuary of Outcasts is on my wish list. They all sound good. Thanks for sharing. I love finding new books. I just read Saving Madeline by Rachel Ann Nunes and loved it. In the Sanctuary of Outcasts sounds good to me; great find. Oh my goodness, Viviene! An NYRB edition! I've been collecting these lately. I now have 20! I like the fact that the NYRB has been publishing forgotten books and books overlooked by publishers of classics such as Penguin and Oxford. I can't wait to read your review of The Summer Book. I hope youre feeling better, thats scary! I hope you are feeling better, Vivienne. I have In the Sanctuary of Outcasts on my nightstand and it does look fantastic! Oh dear--swine flu? I hope you are feeling lots better! Now that school is in session, we are all holding our breath for a brakout to occurr. Already our surrounding colleges are reporting many, many cases. I don't want it, that is for sure. Your books all sound great. You know, years ago I purchased 4 Moomin books, in hardback, from our library sale. I didn't know anything about them and never could get my boys to read them. Now they sound fun to me, and now that I would like to give them a try, I don't know where they are. I actually may have given them away in a fit of cleaning sometime--gasp! I think I need to give this author a try. Rest and take care of yourself to prevent a relapse or secondary infection my dear.